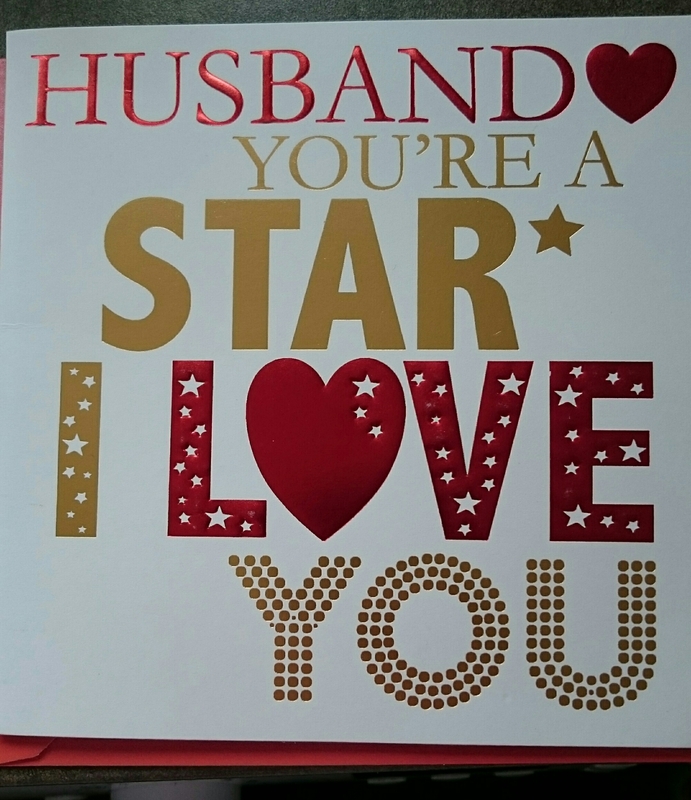 In tribute to Valentines Day, a day clearly created by the card companies to boost revenue between Christmas and Easter, I thought I’d tell you a little bit about G and myself. We first met at the grand old age of 11 when we joined the same secondary school together and found ourselves in the same group of friends. We hung about a bit over the years but nothing exciting happened as he was dating one of my friends. When we were 17 they split up and we both found ourselves without a ‘date’ for the school May Ball so we decided to go together and very quickly became a couple. I think there were a few disapproving looks that we got together but it was obviously meant to be as 12 years later we’re married with 4 children. Not long after we got together I moved away to go to university while G stayed at home. Those 3 years were really tough. I came home as much as possible and as much as I could afford but G also did lots of journeys up the motorway straight from work. We had a great time on our weekends and holidays but it was still really hard being apart from each other and only speaking on Messenger (old school!) or texting. We did have a few disagreements but we just focused on the end goal of my graduation. I graduated and moved home to the news that my parents were moving house and going a fair distance away. I managed to get a job near their new house so went with them. For a few months we did the long distance again until we decided enough was enough, we needed our own house. Property was much cheaper near my parents so we bought our first house there. Not long after we moved in to our house I had quite a severe accident and I knew G was a keeper from the way he looked after me. He helped me through a really difficult period of my life and I’m not sure many would have done that. A proposal followed on my birthday not long after we moved in and we planned our wedding for 18 months later. I got a bit Bridezilla with the planning but he still wanted to marry me! We had a fantastic wedding day and it was truly one of the best days of my life. Everything went exactly as it should and he even surprised me with my favourite song for our first dance. That was five and a half years ago and I love him more than ever. He’s helped me have and bring up four of the most amazing children and is the most amazing Daddy in the world. Oh what a beautiful love story. Perfect for this time of year! Sounds like we got married around the same time. Love it, childhood sweethearts.